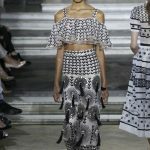 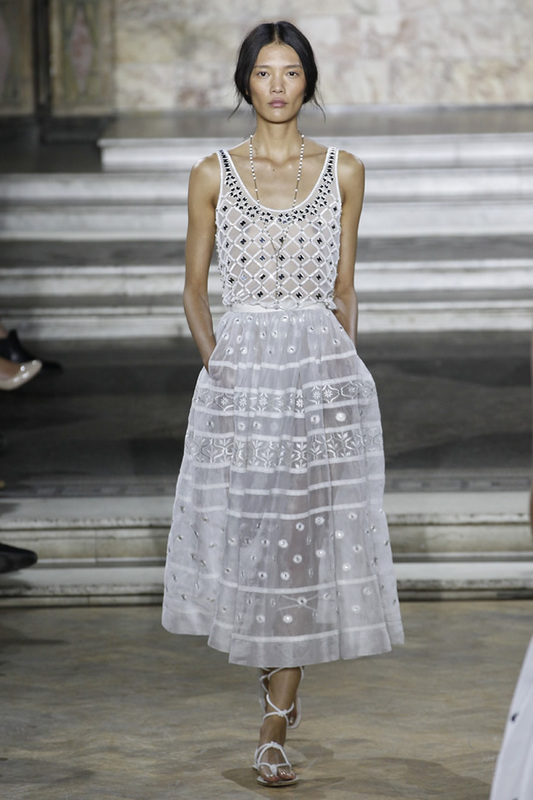 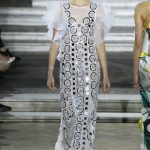 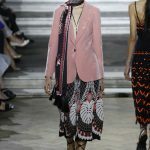 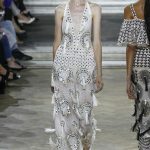 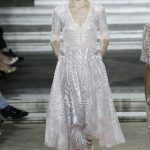 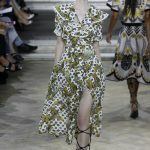 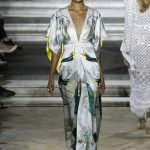 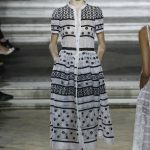 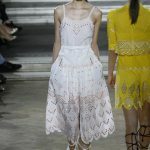 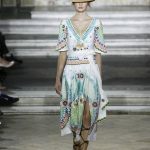 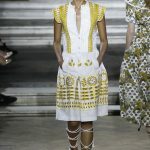 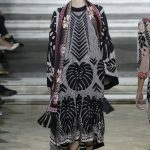 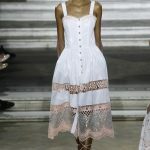 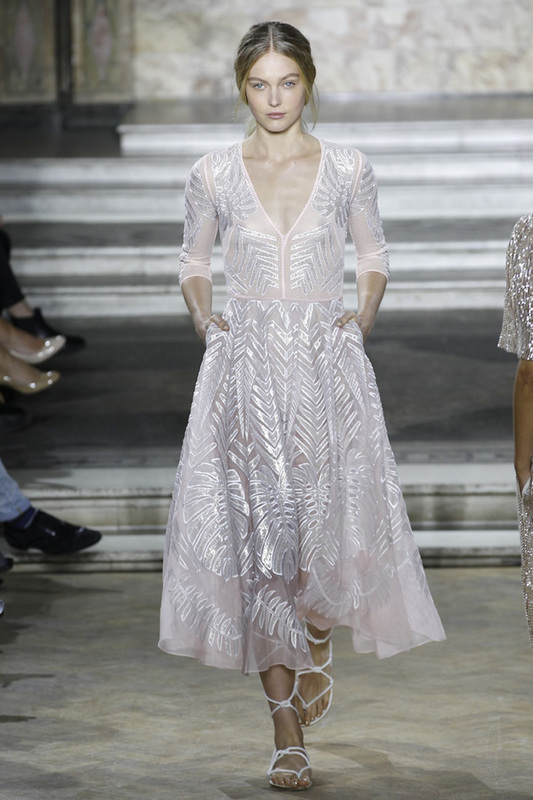 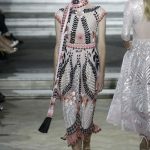 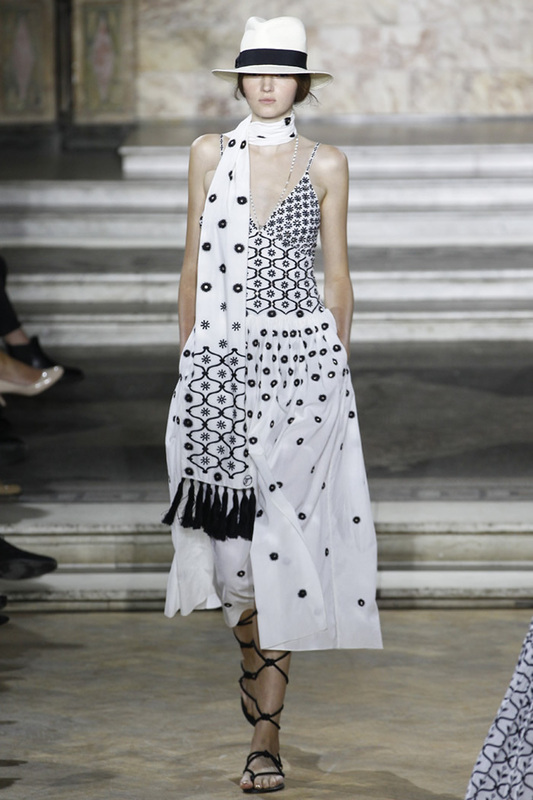 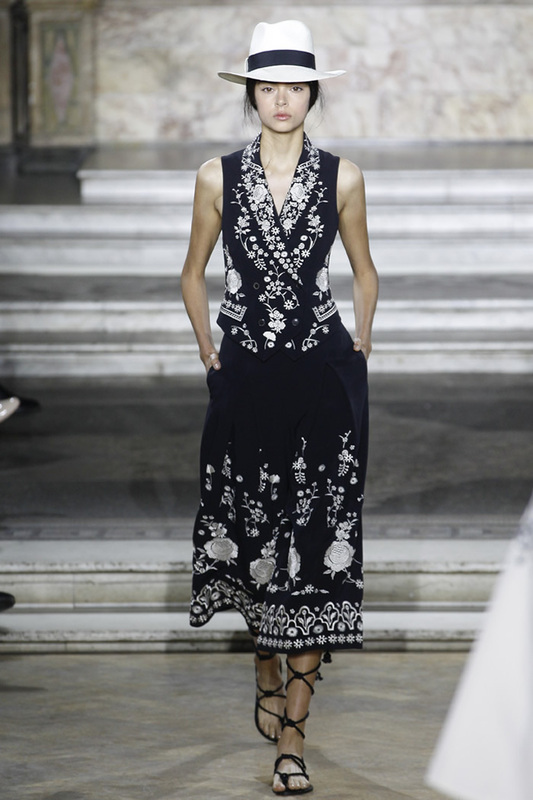 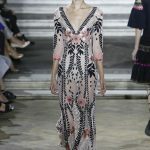 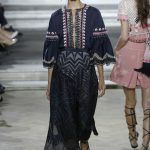 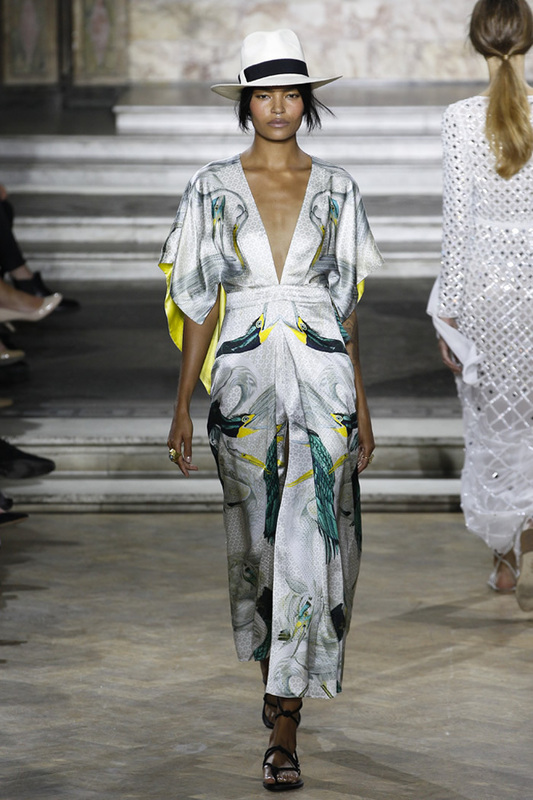 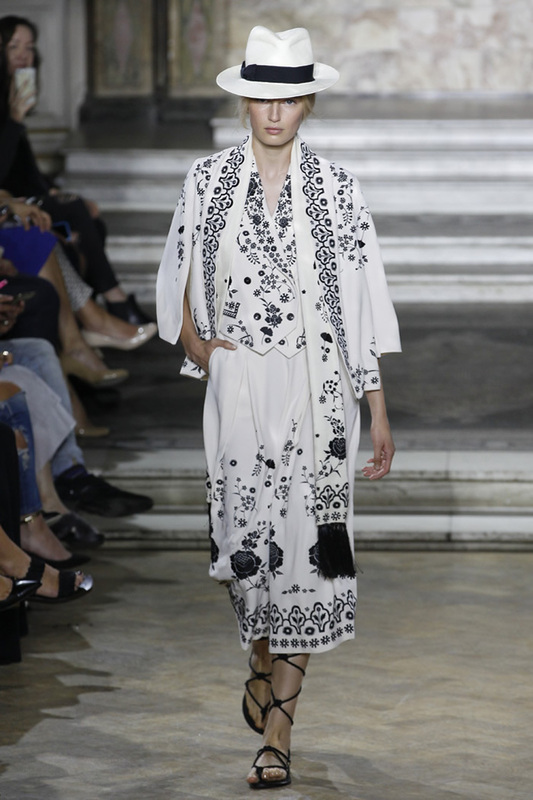 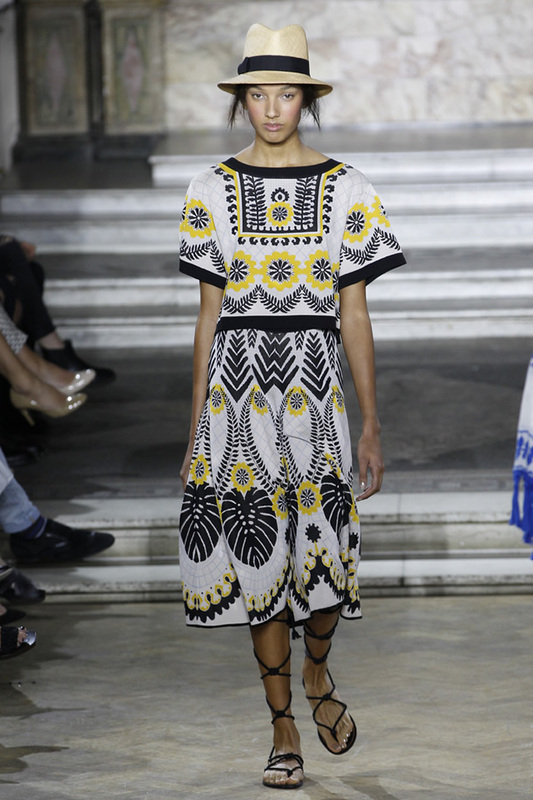 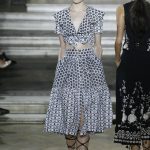 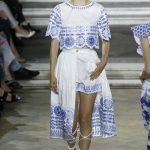 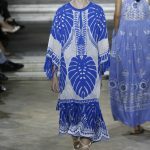 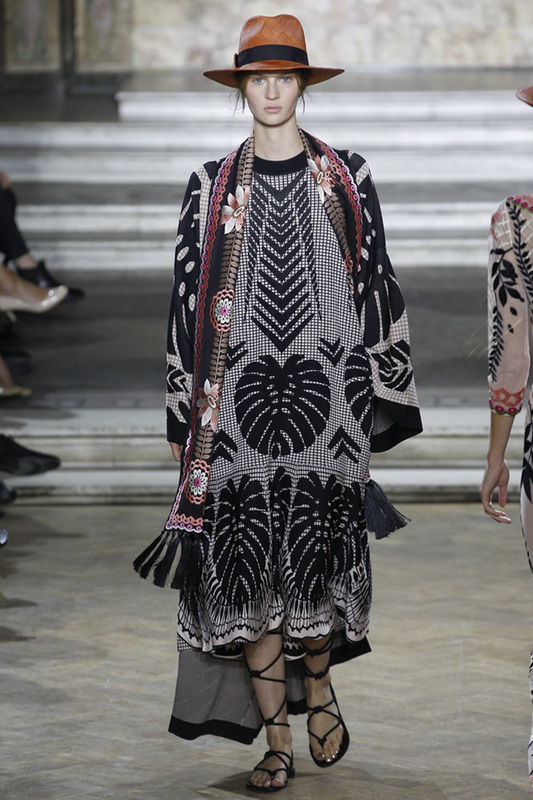 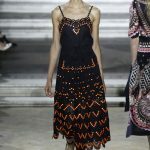 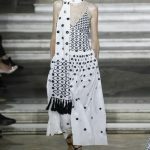 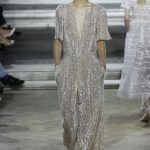 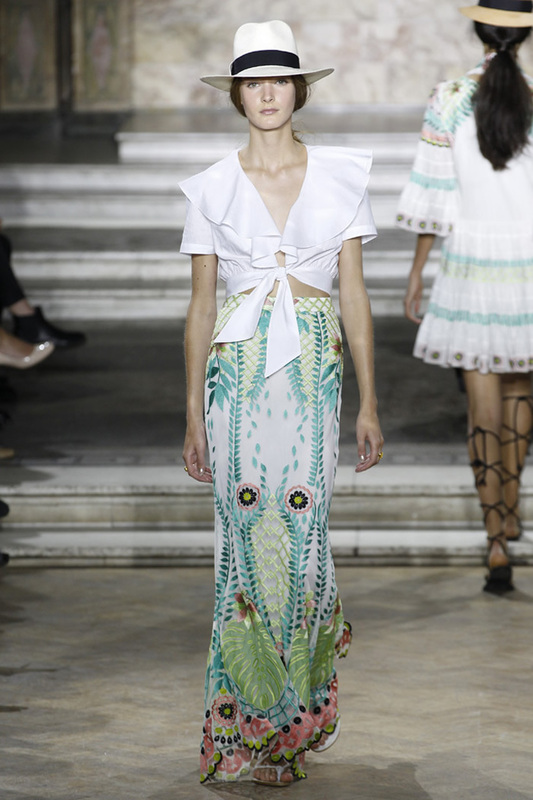 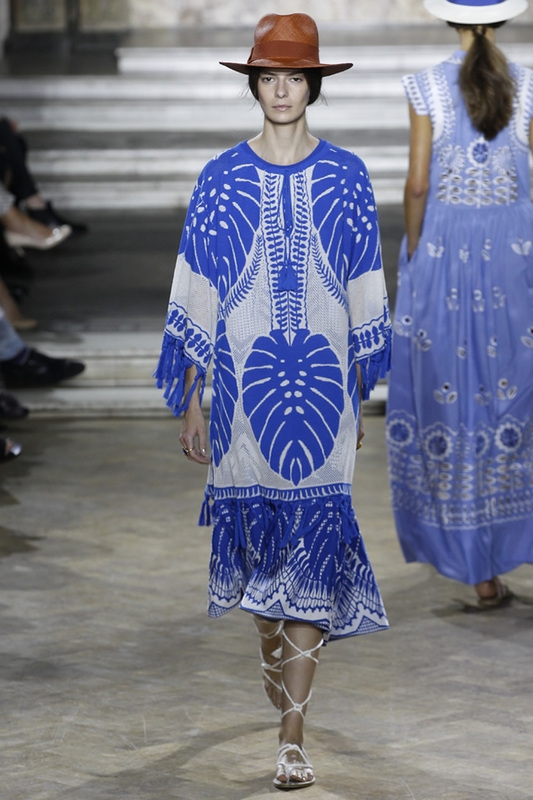 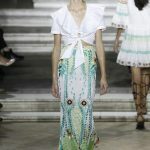 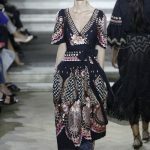 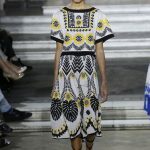 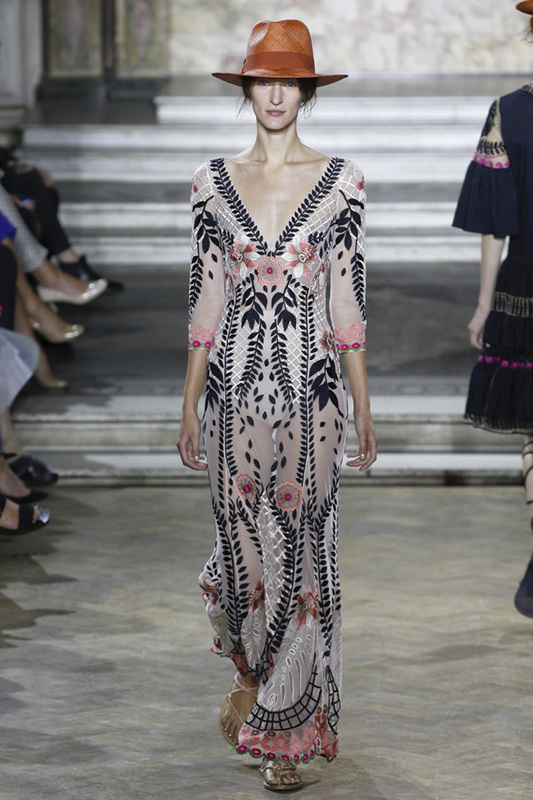 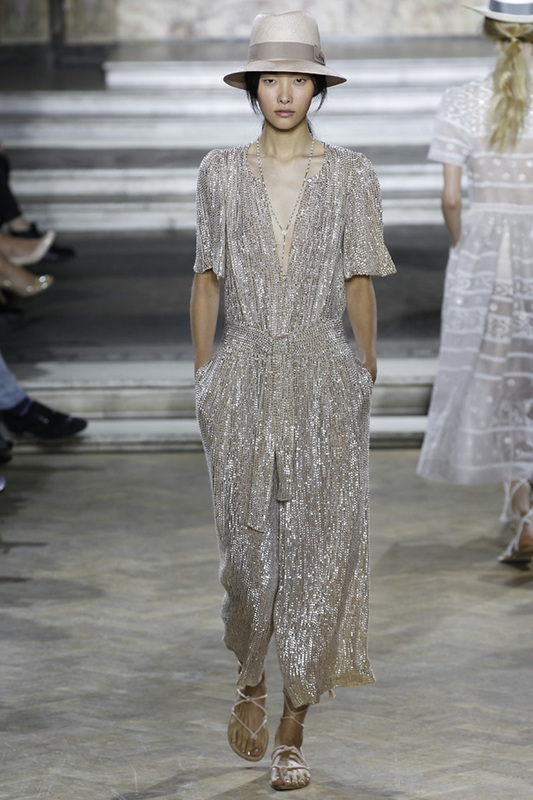 The sun has clearly gone to Alice Temperley’s head – and her heart, too – judging from this easy, breezy collection that took its cue from Havana and other hot Latin American climes. 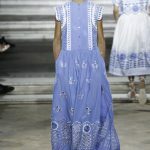 The designer sent out a lineup of dresses covered in embroidery and other needlework done in a summer garden color palette inspired by the images of Robert Polidori. 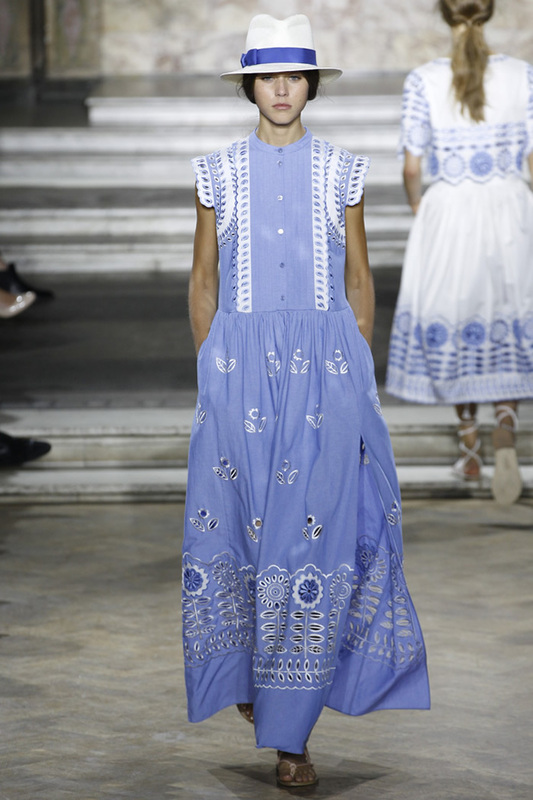 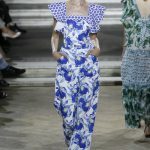 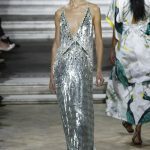 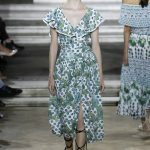 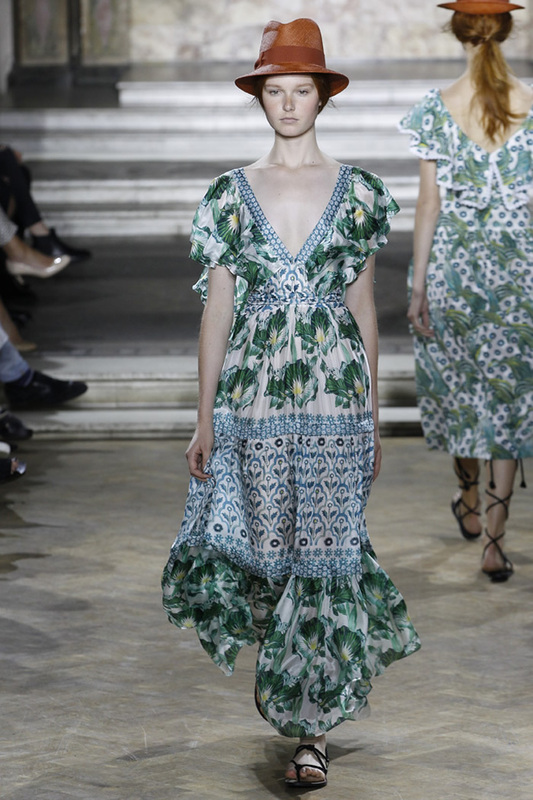 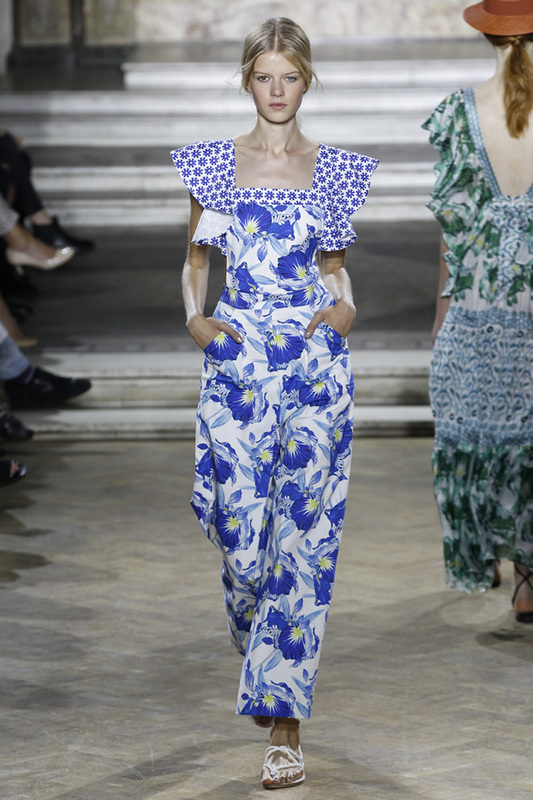 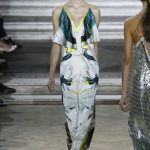 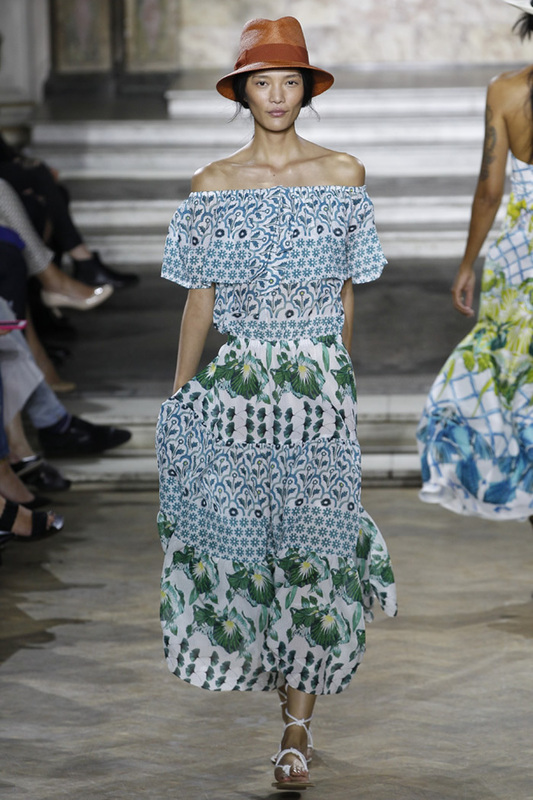 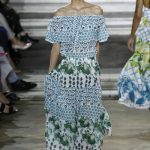 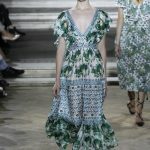 There were belted cotton dresses, many with circle skirts and a ruffle around the neckline; a silky halter-neck dress with a parrot print, and a long cornflower blue one that popped with white embroidery.